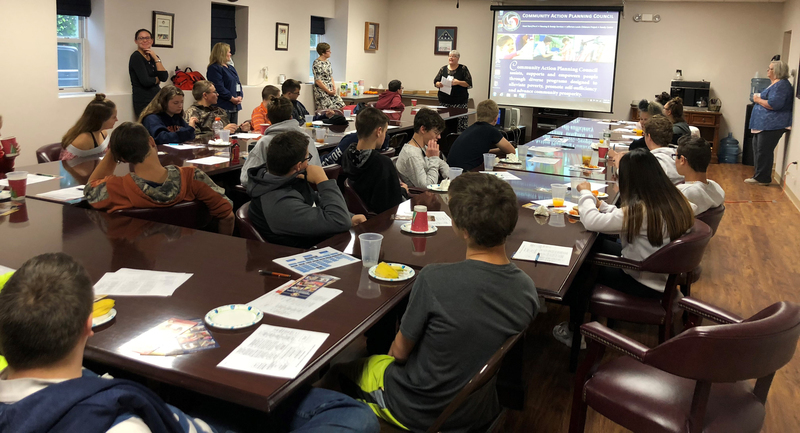 Students in the Pre-Tech Academy program at the Bohlen Technical Center began this school year learning the importance of community service and how to assist those who are less fortunate. 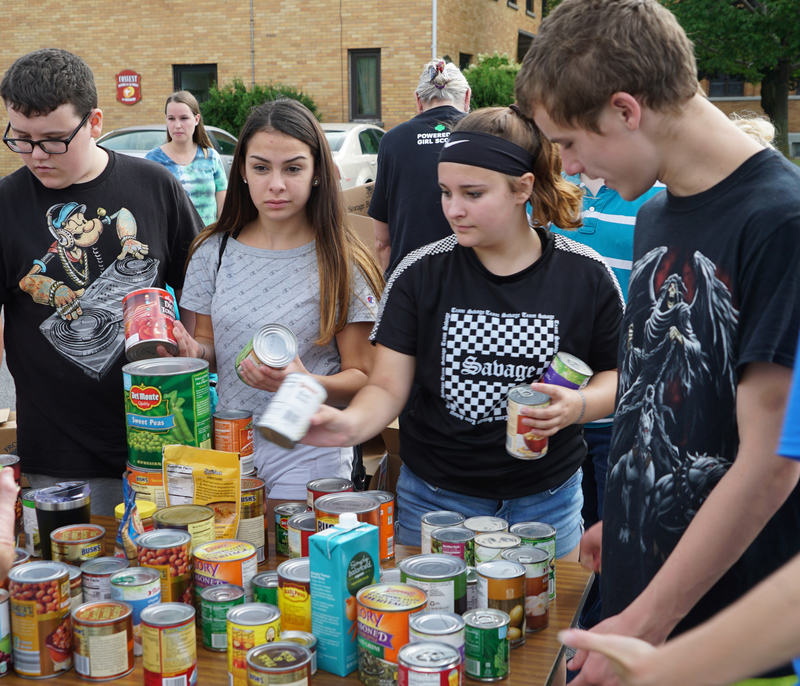 Students in the BOCES program lent a helping hand to the United Way of Northern New York as part of the organization’s community wide food drive that took place September 14. Students in the morning class helped organize the donations as they arrived while the afternoon students were put to work helping load the donated items onto trucks, trailers and other vehicles that delivered the items to local food pantries. During the one-day food drive, 631 cases of non-perishable food items were donated to a total of 21 food pantries throughout Northern New York. Holly Nichols, one of the instructors of the Pre-Tech Academy program, told the Watertown Daily Times that students in previous years had fun helping out at the drive and also gained real world experience in helping out the community. The lesson wasn’t simply limited to helping out at the food drive. Students also took field trips to the Community Action Planning Council and the Watertown Urban Mission. They learned more about how he organization assists those in need within the community and toured their food pantries. “I learned a lot about the BRIDGE program and how it helps those with addiction problems get on a road to recovery,” says Aaron Brodt, a student from Carthage Central. “It was nice to learn about the different programs and how they help people in our community,” recalled Savannah Espinoza of Watertown High School. Gage Moyer, a student at Watertown, summed up his experiences and thoughts this way. Learn more about the Pre-Tech Academy program offered at the Charles H. Bohlen Jr. Technical Center.